Boys’ Changing Voices: What Do We Know Now? Many boys are lost to singing during their voice change.1 The more we know about voice change, the greater the chances boys will grow their interest and dedication to the expressive rewards of singing. To that end, this article presents detailed information about the following topics: 1) two distinct ways to gather knowledge about boys’ changing voices; 2) two exemplar voice classification methods that have grown out of those knowledge-gathering methods; 3) research evidence from sources other than choral singing research, which deepens our knowledge about boys’ pubertal voice change; and 4) the need for choral conductors to make a decision about the validity and reliability of voice classification guidelines for use in choral education. All 10 to 16 year-old boys experience two discrete but interactive developmental processes: puberty and adolescence.2 Those terms are commonly used as though they refer to the same growing-up processes. They do not. First way. We can visually observe and listen to a large number of 10 to 16 year old boys when they: 1) sing selected pitch patterns and/or musical excerpts in a variety of pitch ranges, volume levels, and rhythmic speeds (vocal agility); and 2) talk spontaneously, without conscious awareness of how they are talking. Audio and/or video recordings of the boys’ singing and talking can be made in order to aid the analysis of this information. In this first way of developing knowledge about 10 to 16 year old boys’ voices, perceptions and interpretations by observers are completely subjective. With no objective measures of data, the validity and reliability of their observations are open to serious question. Second way. Using the best available digital recording equipment, we can make video and/or audio recordings of large numbers of 10 to 16 year old boys as they sing and speak in a variety of pitch ranges/patterns, volume levels, and rhythmic speeds. Using laryngeal videostroboscopic equipment, video recordings of each boy’s vocal folds also can be made, and other individual information can be recorded, e.g., age, height, body mass index, past singing experience, private voice education, and so on. Progressive time durations of the vocal sound spectra. One graphic representation that some measuring instruments can produce is called a spectrogram (see SidePanel 3 for samples). Expert analysts can observe spectrograms of a boy’s vocal tasks and relate it to his personal information and history (age, height, etc.) while listening to the recordings from which the spectrograms were made. After all the data from multiple boys have been reviewed analysts can: 1) detect patterns and produce mathematical descriptions of that information; 2) articulate comparative, evidence-based knowledge about how the pubertal growth phases affected vocal capability changes in the boys’ voices; and 3) develop concepts, terminologies, and teaching practices that are aligned with the evidence. This, then, relates to processes of vocal pedagogy, repertoire selection, and part assignments for boys progressing through their pubertal voice changes. The above evidence-to-practice sequence is patterned after the evidence-to-practice processes that are used in all of the science-based professions such as medicine, neuropsychology, speech pathology, audiology, and physical therapy. Especially in the United States, two exemplar systems are currently used for classifying boys’ voices during puberty. One system was originated by Irvin Cooper and the other by one of his graduate students, John Cooksey. Collins retired in 2009, the Institute was transferred to the College of Music at the University of North Texas, and the name was changed to The Cambiata Vocal Institute of America for Early Vocal Music Education. The current Executive Director is Alan McClung. 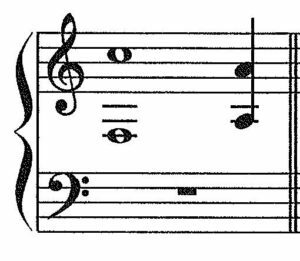 Notation is based on Cooper and Kuersteiner, Teaching Junior High School Music: General Music and the Vocal Program, Allyn and Bacon, 1970. Quotes are from the same source. John Cooksey18 completed his Masters degree in choral music education at Florida State University where he studied with Cooper. He also taught junior high choirs for seven years in the Tampa Public Schools in Florida where he applied Cooper’s Cambiata Plan. During his time there, he began to observe several characteristics of boys’ changing voices that raised questions about some aspects of the Cambiata Plan. As a result, he began to adapt the Cambiata Plan according to his own perceptual experiences and decided that a scientific study of boys’ changing voices was needed. After teaching in Tampa, Cooksey was admitted to the Doctor of Education program in choral music education at the University of Illinois. While there, as a student of Richard Colwell, he was schooled in the use of the scientific method for experimental research in music education. Cooksey later joined the music faculty at California State University in Fullerton where he became allied with two speech pathology professors who were interested in voices: Ralph Beckett and Richard Wiseman. Together, the team designed and conducted a three-year scientific study of male adolescents who were experiencing pubertal voice change. Before the study’s data collection had begun, however, Cooksey wrote a series of four theoretical articles about male voice change that were published in four consecutive issues of Choral Journal.19 One of these articles included his pre-study voice classification guidelines. Data collection for the Cooksey-Beckett-Wiseman study began in September, 1979. The study’s subjects were 86 seventh-grade boys from the Orange County Unified School District. Some were enrolled in choirs; most were not. During each month of their academic years as seventh, eighth, and ninth graders (totaling 27 months), 23 items of data were recorded from each boy (no data during the summer months).20 This resulted in 621 pieces of data for each boy. With 86 boys in the study, there were 53,406 data items collected during the entire study. Counted backwards from 20 to 1, and in doing so, their conscious awareness was focused on saying the unfamiliar sequence of numbers accurately. 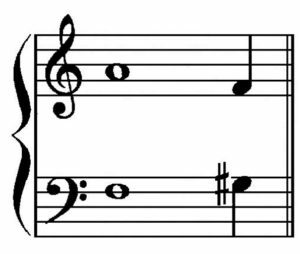 The neural networks that operate the vocal folds, then, typically settled them into vibrating around a particular pitch area. A temporary Average Speaking Fundamental Frequency (ASF0; abbreviation for fundamental frequency is F0). was determined when the data gatherer hummed a perceived average pitch, located it on a piano keyboard, and hand-recorded it. 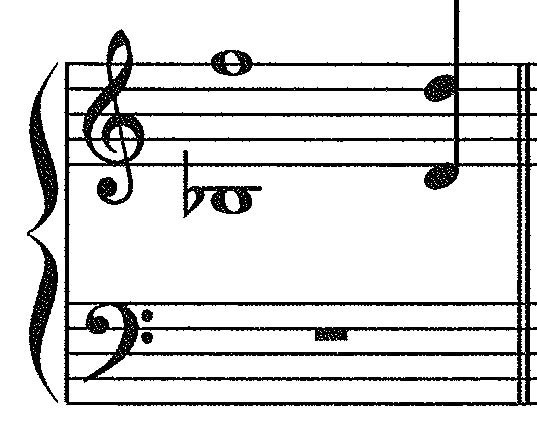 Began on the temporary ASF0, and sang the pitches of an ascending major scale (vowel /ah/). They continued to do so to the highest pitch they could produce well. 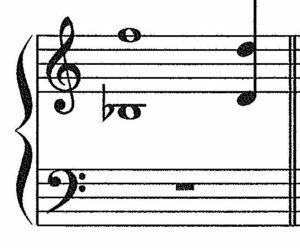 Then, they began on a self-chosen upper pitch and sang a descending major scale on /ah/ to the lowest pitch they could produce well. Any highest/lowest pitch that was produced with audibly perceived effort, strain, and/or “fading down” was not included in their total pitch range compass for the study. 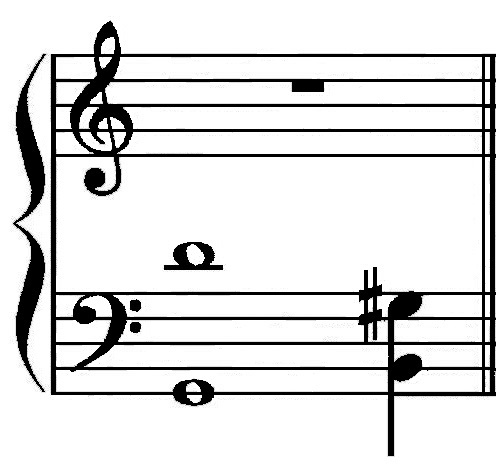 Sustained a pitch for several seconds in lower register (called modal), another pitch in upper register (called head), and a third pitch in falsetto register when possible. After three years, 27 audio recordings had been made of each boy for a grand total of 2,322 recordings to be objectively analyzed. How were they analyzed? The recordings of each boy’s speaking sample were played into a voice analysis computer program to obtain an objective measure of their ASF0. As each boy passed into each phase of voice change, their ASF0 was above their lowest successful sung pitch by about a minor or major third (3 to 4 half steps). 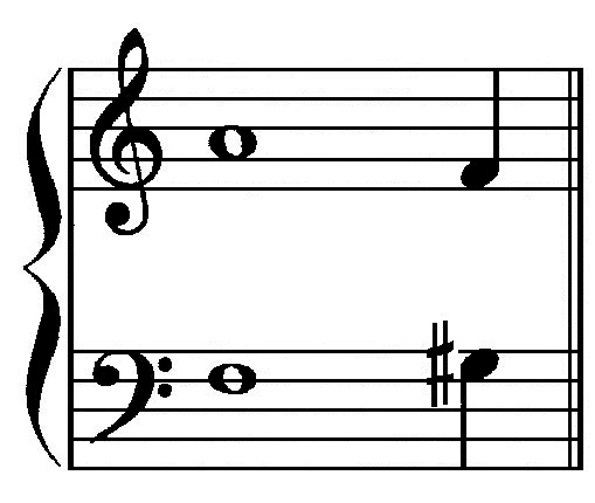 The sung pitch scales revealed that some boys had a “blank spot” in the middle area of their pitch range in which they could not produce vocal sound. These occurred almost entirely when the boys were in the Newvoice classification (see SidePanel #2). 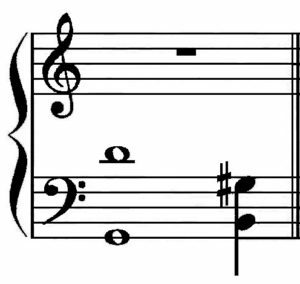 Notation is based on Cooksey-Beckett-Wiseman (1985/2000). From 1977 through 1980, John Cooksey, Ralph Beckett, and Richard Wiseman conducted The California Longitudinal Study of Male Adolescent Voice Maturation. At the time, Beckett and Wiseman were voice science-oriented Speech Pathologist faculty at California State University, Fullerton. Due to the large amount of gathered data, the study’s written report was not finished until 1985. The Cooksey-Beckett-Wiseman voice classification guideline labels were correlated with voice mutation stages and other data that were identified in prior scientific research. Two studies in particular were influential in developing the Cooksey-Beckett-Wiseman study, i.e., five- and ten-year longitudinal studies by Naidr, Zbořil, and Ševčík and by Frank and Sparber, respectively (listed as Notes 55 and 56). In all three studies, very few subjects had experienced singing in organized school, religious, or community choral groups, and none of them had studied singing privately. The maturation stage labels, the voice classification labels, and the scientifically derived pitch ranges are below. The recordings of each boy’s sustained pitches were played into electronic voice analysis equipment that performed objective spectral analyses that included fundamental frequency/pitch, harmonic/partial frequencies above the fundamental to about 4,100-Hertz (vibratory cycles per second), and the intensity levels of all such frequencies. Following each analysis, a spectrogram was printed for examination and comparisons by the investigators. Over 6,500 spectrograms were printed (see SidePanel #3). Cooksey-Beckett-Wiseman (1985/2000). Used with permission. In all of the spectrograms below, the subjects sang their version of the vowel /ah/. Sustained vocal pitches were sounded into calibrated spectral analyzers, after which the analyzers produced printed spectrograms—a graphic display of two vocal tone features. The layered horizontal lines represent all of the detected partials/harmonics within the vocal tone (partials refers to each ‘part’ of the whole vocal tone). The lowest horizontal line represents the fundamental frequency that listeners hear as the pitch; all the other lines represent the multiple ‘overtone’ frequencies that are produced at the same time as the fundamental frequency. On the left and right sides of the graphs is a series of numbers that ascend from 1 to 9, bottom to top. They indicate the vibrational frequency range in which the partials were sounded in increments of 1,000 Hertz (vibration cycles per second). The number nine indicates partials in the 9,000 Hz range. The numbers across the bottom of each graph represent the passage of time in seconds. The darker-thicker ink density of each horizontal line represents greater strengths (pressure intensity) of each partial. The lighter-thinner ink density of each horizontal line represents lesser strength/intensity in those partials. Across the bottom of each spectrogram there is a series of numbers from 1 to 4. Those numbers show the elapsing of time in seconds during the sustained tone(s). 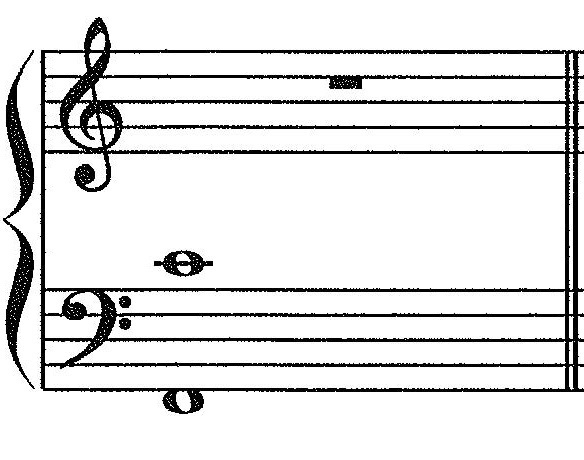 Unchanged Voice (Premutation Stage): Notice the basic evenness of strength in all the partials. Midvoice I (Early Mutation Stage): Notice the ‘broken-up’ uppermost and middle partials and the waving in most of the partials. That ‘broken-up’ feature would be heard as some degree of breathiness in the vocal tone. The wavering might be explained by ‘efforting’ to reach previously ‘easy’ higher fundamental frequencies (pitches). 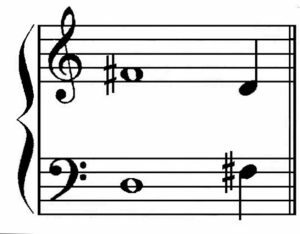 Also, notice that there is some vibrato that may reflect over-efforting to overcome a loss of clarity and strength in higher fundamental frequencies (pitches). Midvoice II (High Mutation Stage): Notice the continued weakening and growing absence of upper partials in this boy’s voice, demonstrating decreased clarity in the higher partials of his voice quality and increased instability of vocal function. Some hinted vibrato is present. Midvoice IIA (Mutation Climax Stage): There is a clear decrease (absence) in the number of upper partials in this boy’s voice and even his lowest partials are quite weak (fundamental frequency). He is in the peak stage of mutation in his vocal folds and so he is experiencing a peak of vocal instability. 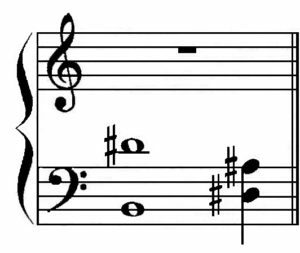 Very little vibrato is produced, perhaps reflecting a generally weakened state in the internal muscles of the larynx. Newvoice (Postmutation Stabilizing Stage): Notice that both lower and upper partial strength is returning in this boy’s voice, although his lowest partials are showing weakness. 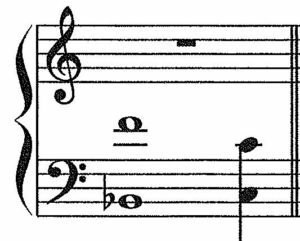 With assumed greater stability in his internal larynx muscles, vibrato also re-emerges. Emerging Adult Voice (Postmutation Settling Stage): Even though there are signs of weakness in the upper partials of this boy’s voice, the overall trajectory is increased stability and strength. Notice the strength and clarity of his lowest partials. Also, there is a much more complete presence of vibrato. Each boy’s 27 printed spectrograms were sequenced by date of recording and examined for visually detected spectral pattern changes. Based on the study’s objectively measured evidence, Cooksey, Becket, and Wiseman agreed that the pitch and tessitura ranges shown in SidePanel #2 reflected average ranges for all the boys who were experiencing each of the phases of pubertal voice change. Growth and reshaping of lung size, and thus breath or vital capacity, are among the voice effects of pubertal development.32 Cooksey found that vital lung capacity increased with each phase of voice change, implying physiological growth of the whole chest, and that increased vital capacity could be used as a predictor of the voice change phases.33 Engaging in increased respiratory activity, such as is required for singing, also increases lung size and vital capacity.34 Comparatively lower demand results in less growth in lung size and vital capacity. 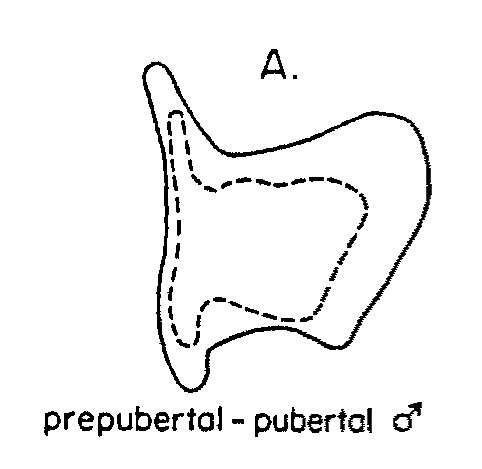 Mean male and female total vocal fold length (in millimeters) from prepuberty through puberty. The vocal tract is basically a tube made up of the throat and mouth—the voice-resonating areas.41 During and following puberty, the average length of male vocal tracts increases, becoming significantly longer and developing greater circumference. Full adult dimensions are completed by ages 20 or 21. The vocal tract growth results in amplification of the lower partials of the vocal spectra, thus adding a “fullness” component to perceived voice quality. One indicator of vocal tract length is the location of the lowest part of the larynx (cricoid cartilage) relative to the cervical vertebrae of the spinal column.42 In infants, that lowest border of the larynx is located near the lower border of the third cervical vertebra (C3). By age 5 years, under normal growth processes, the low border of the male larynx is located near the middle of C5, near the upper/middle of C6 by 10 years, and near the low area of C6 at the end of puberty. By about age 20 years, the lowest border of the male larynx is located near the upper area of C7. Further downward settling may occur, but the bottom of the larynx remains within the C7 region in males throughout life. Cooksey spent a sabbatical year from 1992 to 1993 in the United Kingdom, hosted by renowned child-voice researcher Graham Welch. A one-year study of boy singers in the London Oratory School and Primary School was undertaken and the results were published.48 Again, the validity and reliability of the Cooksey guidelines were confirmed. In 1994, results of a 5-year longitudinal investigation of male adolescent voice change were published.51 The study was funded by one of the institutes of the U.S. National Institutes of Health and described effects of voice change on speech (no sung pitches were studied). Forty-eight male subjects were 10.5- to 11.5-years-old at the study’s beginning and 15.5- and 16.5-years old at the end. The most relevant objective measurements were speaking fundamental frequency (SF0) and phonational frequency range (PFR). Standard spoken passages were read to determine SF0 and pitch sliding was used to determine PFR. Based on the then-current state of knowledge about voice change in the speech sciences, the authors determined that stable adolescent voice change measurements could be obtained, the related vocal changes appeared in predictable patterns, and both the onset and duration of voice change extended over a longer period of time than had been previously thought. Much more recently, Harry Hollien reviewed a wide array of anatomical, physiological, and practical application studies about male pubertal voice change.52 Included were the 5-year study mentioned above and special mention of the Cooksey-Beckett-Wiseman research. Hollien concluded that correlations between the course of general pubertal growth and changes in spoken and sung fundamental frequency (F0) range were valid measures of what he called adolescent voice change (AVC). He proposed a model of AVC in which plots of the spoken or sung F0 change parameter could define AVC, including its start, extent, and completion. A significant challenge to voice educators and voice scientists has been the presence of phonation gaps (no vocal sound) within adolescent boys’ singing ranges—what Cooksey referred to as “blank spots.” In 2008, Elizabeth Willis and Dianna Kenny, assisted by Graham Welch, took up that challenge and published some unique and valuable findings.53 Over one year, they studied relationships between phonational gaps, body weight, and SF0 in 18 boys who were completing year seven at two secondary schools in Sydney, Australia. The average age of the boys was just under 13 years at the beginning of the study. Over the year, objective physical and acoustic measures were gathered during five data-gathering visits. Willis and Kenny confirmed Cooksey’s “blank spot” gap in phonation, clarifying that it almost always occurred toward the second half of the voice change process, beginning around the transition between Midvoice IIA and Newvoice. They gathered data by using more sophisticated voice analysis instruments than were available to Cooksey in the early 1980s. 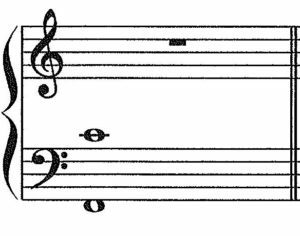 The male singers were recorded performing six vocal glides (glissandi). Three of them descended from subjects’ uppermost phonational frequency range (PFR) to lowest PFR, and three ascended from subjects’ lowest PFR to their highest, thus exposing any gaps that were present. There were three major findings. First, in those boys who experienced phonational gaps during the glides, the gaps extended over a wider pitch range than was found by Cooksey, and some boys had a series of up to three gaps that changed in phonational range (pitch range) over time. The first of these started with gaps that were below the boys’ SF0 (average range A2 to D3), then later changed to an upper pitch range gap (E5 to F5), before becoming a mid-range gap (C4 to G4). 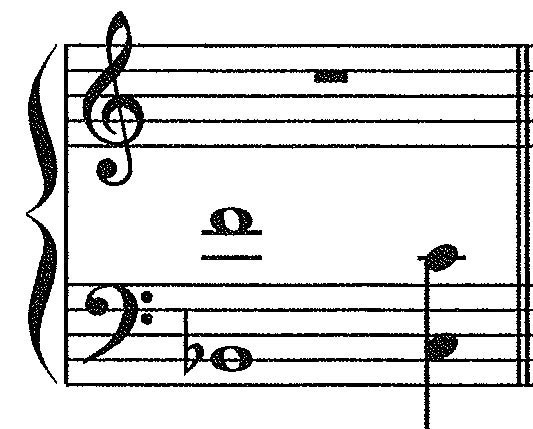 Some of the gaps included pitches that Cooksey had found could be easily sung and some of the mid-range gaps lasted longer than Cooksey had indicated. Second, the researchers were interested in related research findings that males typically gained weight during the second half of early adolescence.54 The researchers wondered if there was a correlation between this weight gain and the phonational blank spots that signaled the second half of the voice change process. Indeed, at the end of the study when the boys’ average age was nearly 14 years, all boys heavier than 54.8 kg (120.8 lbs) had gaps that averaged from D#4 to G#4. Third, Willis and Kenny indicated that no voice education method could overcome phonational gaps, but they expressed no opposition to Cooksey’s recommended use of slow downward sigh-glides to assist in the transition toward full-range singing and disappearance of the gaps. The authors recommended more research into all of their findings. Irvin Cooper and John Cooksey dedicated considerable time and energy in their lives to helping adolescent boys know that their voices—over their entire lives—are capable of skilled singing. And, that each of them is a human being who is capable of speaking and singing (and moving) expressively from the heart, with rich empathy for their fellow human beings. 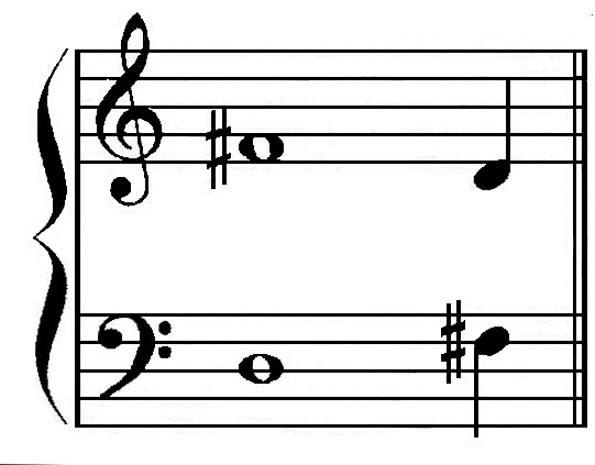 On one wall of the choral music room, a middle school teacher who used Cooksey’s voice classification guidelines, placed a horizontal row of six printed placards across the top. The placards named each of the Cooksey classification labels, i.e., Unchanged, Midvoice I, etc. On the left end of that wall, placards were placed top-to-bottom on which the name of each boy in the school choral program was printed. The same was done on another wall for the girls in the program. On a selected day, meeting only with the boys, the choral teacher explained, in simple terms, about voice change, its growth spurts, and the changes of vocal capability that accompanied them. Using the choir room piano and older, more experienced boys, he showed them all how to classify their own voices. When the boys thought they had changed to the next category, they were to tell the choir teacher and the teacher would confirm or disconfirm the boy’s decision. If confirmed, the boy would move his name under his new voice change category in the current or next rehearsal. Those conversations were made possible because of the teacher’s knowledge of the physiology of voice change and awareness of adolescent social and cognitive development. The boys were engaged as musicians, aware of their present capabilities, and eager to move toward the next singing experience. Vocal transformation had enabled musical transformation. 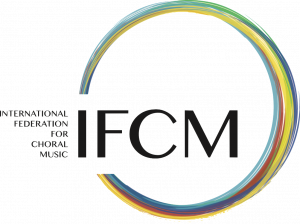 1 Patrick K. Freer, “Two Decades of Research on Possible Selves and the ‘Missing Males’ Problem in Choral Music,” International Journal of Music Education 28, no. 1 (2010): 17-30. 2 Cheryl L. Sisk and Douglas L. Foster, “The Neural Basis of Puberty and Adolescence.” Nature Neuroscience 7, no. 9 (2004): 1040-1047. 4 Harry Hollien, Rachel Green, and Karen Massey, “Longitudinal Research on Adolescent Voice Change in Males.” Journal of the Acoustical Society of America 96, no. 5 (1994): 2646-2654. 6 Leon Thurman and Carol A. Klitzke, “Voice Education and Health Care for Young Voices.” In Vocal Arts Medicine: The Care and Prevention of Professional Voice Disorders, ed. Michael S. Benninger, Barbara H. Jacobson, and Alex F. Johnson, 226-268. New York: Thieme Medical Publishers, 1994. 8 Irvin Cooper and Karl O. Kuersteiner, Teaching Junior High School Music: General Music and the Vocal Program. (Boston: Allyn and Bacon 1965). 9 Irvin Cooper and Karl O. Kuersteiner, Teaching Junior High School Music: General Music and the Vocal Program, 2nd ed. (Boston: Allyn and Bacon 1970). 10 Don L. Collins, Teaching Choral Music, 2nd ed. (Upper Saddle River, NJ: Prentice Hall, 1999) 128, 129. 14 Cooper and Kuersteiner, 1970, 18-21; Collins, Teaching Choral Music, 132, 133. 15 Collins, Teaching Choral Music, 133, 134. 16 Don L. Collins, The Cambiata Concept: A Comprehensive Philosophy and Methodology of Teaching Music to Adolescents. Conway, AR: Cambiata Press, 1981. 17 Collins, Teaching Choral Music, 132. 18 Biographical information for Dr. Cooksey was obtained in a personal telephone interview, January 15, 2012. 19 John M. Cooksey, “The Development of Contemporary, Eclectic Theory for the Training and Cultivation of the Junior High School Male Changing Voice,” Part I: “Existing Theories,” Part II: “Scientific and Empirical Findings: Some Tentative Solutions,” Part III: “Developing an Integrated Approach to the Care and Training of the Junior High School Male Changing Voice,” and Part IV: “Selecting Music for the Junior High School Male Changing Voice.” Choral Journal, 18 no. 2 (1977): 5-14; 18 no. 3 (1977): 5-16; 18 no. 4 (1977): 5-15; 18 no. 5 (1978): 5-18. 20 All of the information about the Cooksey-Beckett-Wiseman study is from two sources: John Cooksey, “Voice Transformation in Male Adolescents” and “Male Adolescent Transforming Voices: Voice Classification, Voice Skill Development, and Music Literature Selection.” In Bodymind and Voice: Foundations of Voice Education, ed. Leon Thurman and Graham Welch, 718-738 and 821-841. Collegeville, MN: VoiceCare Network and National Center for Voice and Speech, 2000; personal telephone interview, January 15, 2012. 21 Leon Thurman and Graham Welch, Bodymind and Voice: Foundations of Voice Education, rev. ed., 3 volumes. (Collegeville, MN: VoiceCare Network and National Center for Voice and Speech, 2000). 23 Harry Hollien, “On Pubescent Voice Change in Males.” Journal of Voice, (in press). 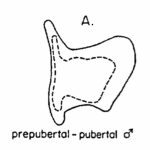 24 Melvin M. Grumbach, “The Neuroendocrinology of Human Puberty Revisited.” Hormone Research 57, no. Suppl. 2 (2002): 2-14. 25 Leo Dunkel, Henrik Alfthan, Ulf-Hoakan Stenman, Päivi Tapanainen, and Jaakko Perheentupa. “Pulsatile Secretion of LH and FSH in Prepubertal and Early Pubertal Boys Revealed by Ultrasensitive Time-Resolved Immunoflourometric Assays.” Pediatric Research 27, no. 3 (1990): 215-219. 26 C. Thøger Nielsen, Niels E. Skakkebæk, Janet A.B. Darling, William M. Hunter, David W. Richardson, Merete Jørgenson, and Niels Keiding. “Longitudinal Study of Testosterone and Luteinizing Hormone (LH) in Relation to Spermarche, Pubic Hair, Height and Sitting Height in Normal Boys.” Acta Endocrinologica Supplementum (Copenhagen) Supplement, (1986): 98-106. 27 Peter A. Lee and Claude J. Migeon. “Puberty in Boys: Correlation of Serum Levels of Gonadotropins (LH, FSH), Androgens (Testosterone, Androstenedione, Dehydroepiandrosterone and Its Sulfate), Estrogens (Estrone and Estradiol), and Progestins (Progesterone, 17-Hydroxy-Progesterone).” Journal of Clinical Endocrinology and Metabolism 41, (1975): 556-562. 28 James M. Tanner, “Sequence, Tempo, and Individual Variation in Growth and Development of Boys and Girls Aged Twelve to Sixteen.” In Twelve to Sixteen: Early Adolescence, edited by Jerome Kagen and R. Coles. New York: W.W. Norton, 1972; C.Thøger Nielsen, et al., “Longitudinal Study of Testosterone and Luteinizing Hormone (LH);” Deso A. Weiss, “The Pubertal Change of the Human Voice (Mutation).” Folia Foniatrica 2, no. 3 (1950): 126-159. 29 Manfred Lampl, Johannes D. Veldhuis, and Mark L. Johnson. “Saltation and Stasis: A Model of Human Growth.” Science 258, (1993): 801-803. 30 Nielsen, et al., “Longitudinal Study of Testosterone and Luteinizing Hormone (LH);” Johanna M.B. Wennick, Henriette A. Delemarre-Van de Waal, Herman Van Kessel, Gerhard H. Mulder, J. Peter Foster, and Joop Schoemaker. “Luteinizing Hormone Secretion Patterns in Boys at the Onset of Puberty, Measured Using a Highly Sensitive Immunoradiometric Assay.” Journal of Clinical Endocrinology and Metabolism 67, (1988): 924-928; Paul M. Martha, Alan D. Rogol, Johannes D. Veldhuis, James R. Kerrigan, David W. Goodman, and Robert M. Blizzard. “Alterations in the Pulsatile Properties of Circulating Growth Hormone Concentrations During Puberty in Boys.” Journal of Clinical Endocrinology and Metabolism 69, (1989): 563-570; John M. Cooksey, Ralph L. Beckett, and Richard Wiseman. “The California Longitudinal Study of Male Adolescent Voice Maturation: An Investigation of Selected Vocal, Physiological, and Acoustical Factors Associated with Voice Maturation in the Male Adolescent Attending Junior High School.” Fullerton, California: California State University, 1985; Harry Hollien, “On Pubescent Voice Change in Males.” Journal of Voice, (in press). 31 James M. Tanner, “Sequence, Tempo, and Individual Variation in Growth and Development of Boys and Girls Aged Twelve to Sixteen.” In Twelve to Sixteen: Early Adolescence, edited by Jerome Kagen and R. Coles. New York: W.W. Norton, 1972; James M. Tanner, “Physical Growth and Development.” In Textbook of Pediatrics, edited by J.O. Forfar and G.C. Arneil, 1984. 33 John M. Cooksey, “Voice Transformation in Male Adolescents.” In Bodymind and Voice, 729. 34 John E. Cotes, Lung Function. 4 ed. Oxford, United Kingdom: Blackwell Scientific, 1979. 35 Leon Thurman, Graham Welch, Axel Theimer, Patricia Feit, and Elizabeth Grefsheim, “WhatYour Larynx Is Made Of.” In Bodymind and Voice: Foundations of Voice Education, ed. Leon Thurman and Graham Welch, 356-366. Collegeville, MN: VoiceCare Network and National Center for Voice and Speech, 2000. 36 Statement during course instruction, Principles of Voice Production, Ingo R. Titze, Director, National Center for Voice and Speech, June, 2004. 38 Minoru Hirano, “Phonosurgery: Basic and Clinical Investigations.” Otologia (Fukuoka) 21(1975): 239-442; Joel Kahane, “Growth of the Human Prepubertal and Pubertal Larynx.” Journal of Speech, Language, and Hearing Science 25 (1982): 446-455. 39 Minoru Hirano, Shigejiro Kurita, Teruyuki Nakashima, “Growth, Development, and Aging of Human Vocal Folds.” In Vocal Fold Physiology: Contemporary Research and Clinical Issues, ed. Diane M. Bless, James H. Abbs, 22-43. San Diego, CA: College Hill Press, 1983. 40 Joel Kahane, “Growth of the Human Prepubertal and Pubertal Larynx;” Joel Kahane, “Postnatal Development and Aging of the Human Larynx.” Seminar in Speech and Language 4 (1983): 189-203. 42 Joel Kahane, “Postnatal Development and Aging of the Human Larynx.” Jan Wind, On the Phylogeny and the Ontogeny of the Human Larynx: A Morphological and functional Study. Groningen, Sweden: Wolters-Noordhoff Publishing, 1970. 43 John M. Cooksey, “Vocal-Acoustical Measures of Prototypical Patterns Related to Voice Maturation in the Adolescent Male.” In Transcripts of the Thirteenth Symposium, Care of the Professional Voice, Part II: Vocal Therapeutics and Medicine, ed. Van L. Lawrence. (New York: The Voice Foundation, 1985) 469-480. 44 Mitzi Groom, “A Descriptive Analysis of Development in Adolescent Male Voices During the Summer Time Period.” In Proceedings: Research Symposium on the Male Adolescent Voice, ed E.M. Runfola, (Buffalo, New York: State University of New York at Buffalo Press, 1984) 80-85. 45 Joanne Rutkowski, “Final Results of a Longitudinal Study Investigating the Validity of Cooksey’s Theory for Training the Adolescent Voice.” Pennsylvania Music Educators Association Bulletin of Research in Music Education 16, (1985): 3-10. 46 Friedrich Brodnitz, “On the Changing Voice.” National Association of Teachers of Singing Bulletin 45, no. 2 (1983): 24-26. 47 Personal recollection as organizer and one presenter in four presentations on voice education in music education; other presenters were Anna Peter Langness and Deborah K. Lamb. 48 John M. Cooksey, “Do Adolescent Voices ‘Break’ or Do They ‘Transform’?” VOICE, The Journal of the British Voice Association 2, no. 1 (1993): 15-39; John M. Cooksey and Graham F. Welch, “Adolesence, Singing Development and National Curricula Design.” British Journal of Music Education 15, no. 1 (1998): 99-119. 49 Meredydd Lloyd Harries, Judith M. Walker, David M. Williams, Sarah M. Hawkins, and Ieuan A. Hughes, “Changes in the Male Voice at Puberty.” Archives of Disease in Children 77, (1997): 445-447. 51 Harry Hollien, Rachel Green, and Karen Massey, “Longitudinal Research on Adolescent Voice Change in Males.” Journal of the Acoustical Society of America 96, no. 5 (1994): 2646-2654. 52 Harry Hollien, “On Pubescent Voice Change in Males.” Journal of Voice, (in press). 53 Elizabeth C. Willis and Dianna T. Kenny, “Relationship between Weight, Speaking Fundamental Frequency, and the Appearance of Phonational Gaps in the Adolescent Male Changing Voice.” Journal of Voice 22, no. 4 (2008): 451-471. 54 Jody Kreiman, Bruce R. Gerratt, Gail B. Kempster, Andrew Erman, and Gerald S. Berke, “Perceptual Evaluation of Voice Quality: Review, Tutorial, and a Framework for Future Research.” Journal of Speech, Language, and Hearing Research 36, (1993): 21-40. With the kind persmission of Choral Journal, the journal of the ACDA. The article was first published in its April 2012 issue.